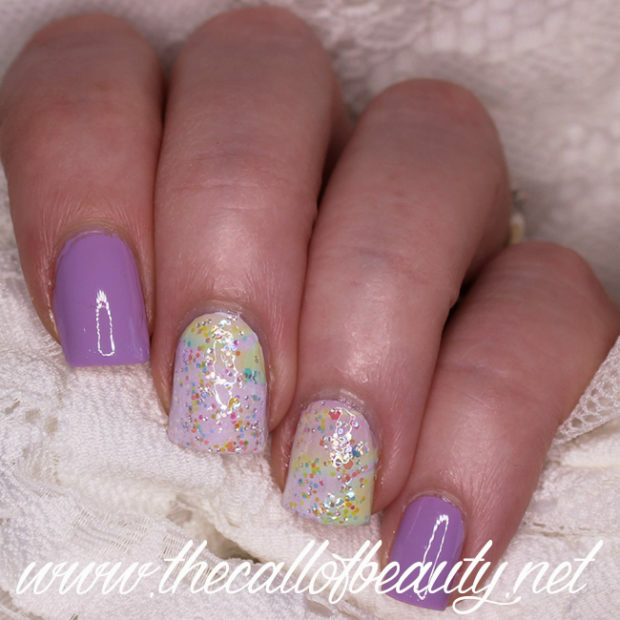 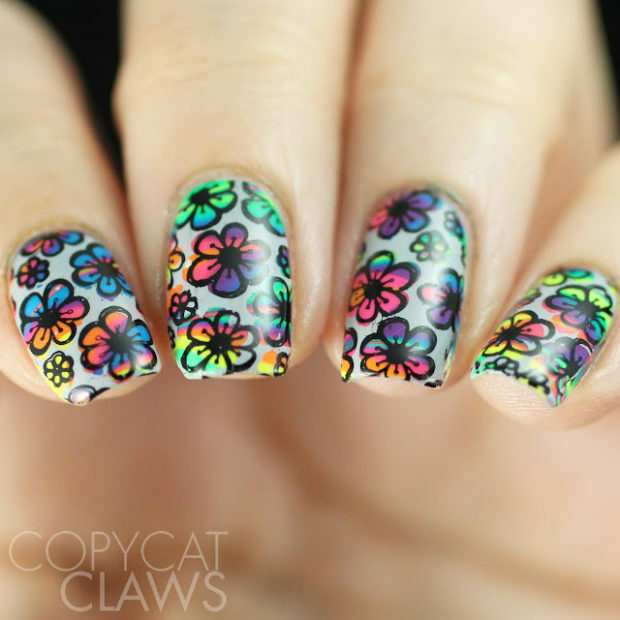 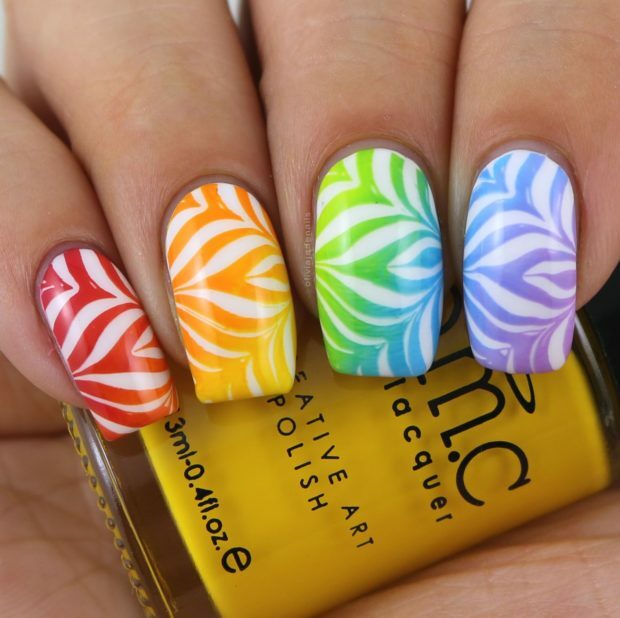 Bring COLOR to your wardrobe with perfect shaped rainbow water marble nails. 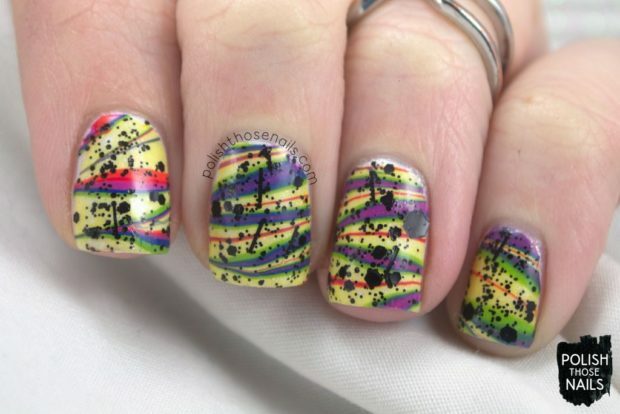 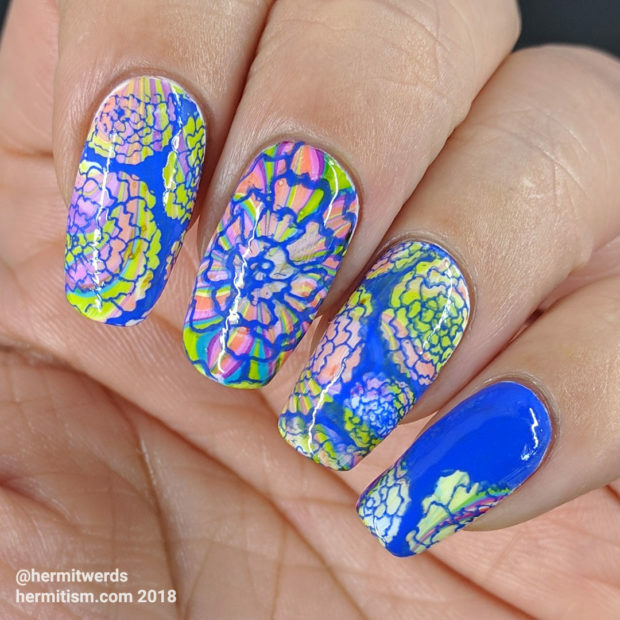 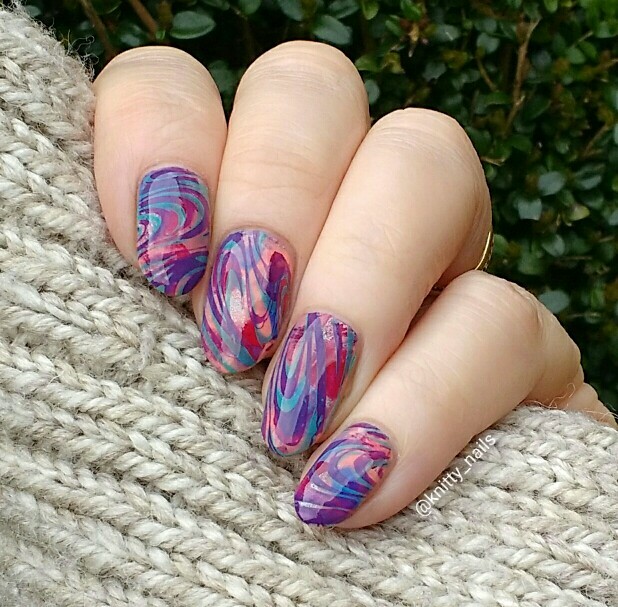 Water marbling is a type of nail art that looks like multi-tonal swirls. 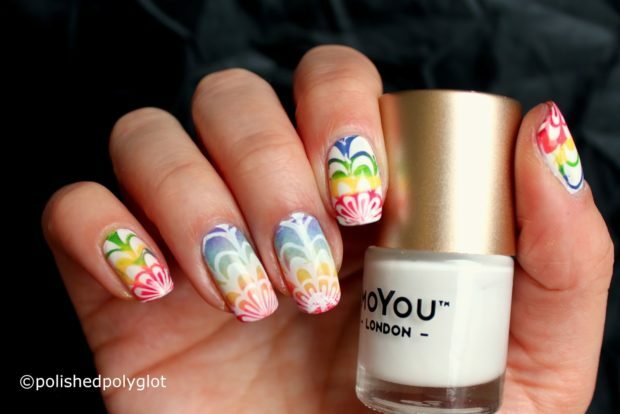 Paint all your nails white for the base. 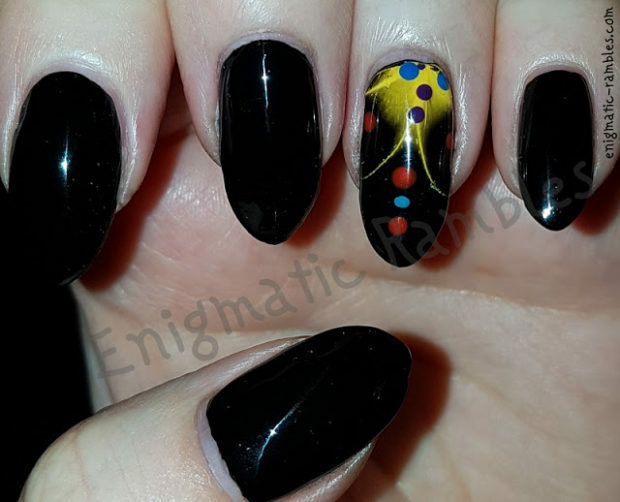 Place a dot with the largest dotting tool with one color, then follow up with the second largest with another color, then finally the smallest one with the third color. 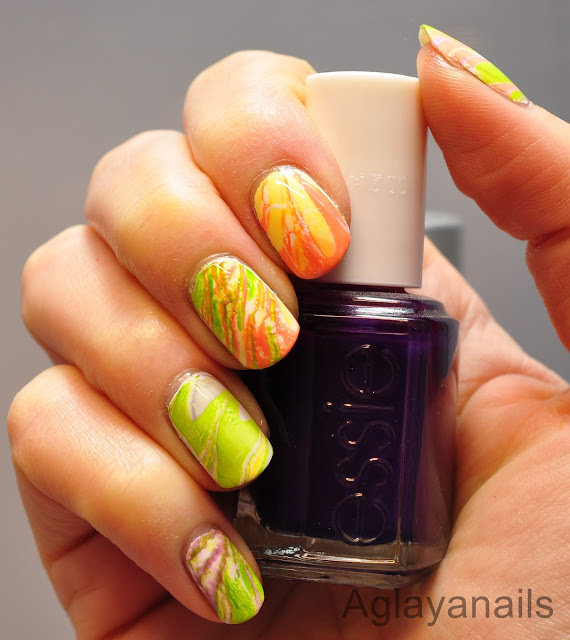 On the following photos you can find Gorgeous and easy rainbow water marble for beginners.